David Cameron is set to announce the expansion of the free School program with proposals for a further 153 free schools. This is obviously an election manoeuvre as none of them will be open before May, but it is an intriguing proposal. Who is he hoping this will woo? 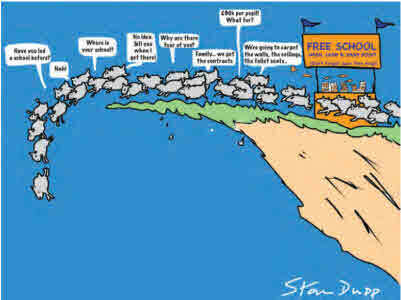 The educational establishment, in particular teachers and their unions, are scathing of free schools. And whilst he may claim that “free schools do not just help the performance of their pupils, but pupils in surrounding schools” there is in fact a growing body evidence to show that free schools are a disaster. This article brings together some of the recent examples of free school problems. 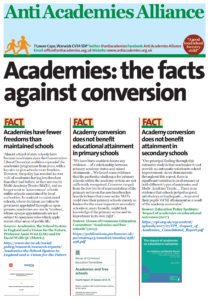 Last April we produced a free schools briefing. It remains very relevant as many of concerns we raised are coming to pass. The founder and former principal of a flagship free school in Bradford has been charged with fraud and other offences. A South London 16-19 free school won’t be opening in September because the sponsor has pulled out just days after promoting itself with promises of lessons in robotics and trips to the large hadron collider in Cern. Grindon Hall, in the North East was given an inadequate rating and put in special measures. An Ofsted report into Grindon Hall Christian school, a free school in Sunderland, said it required urgent improvements. Ofsted slammed the school’s leadership for not adequately safeguarding pupils, for not tackling “prejudice-based bullying” or pupils’ use of racist and homophobic language and for ignoring religious beliefs other than Christianity. The Durham Free School was put into special measures by Ofsted and shortly afterwards Nicky Morgan announced in parliament that she was terminating the funding agreement. This comes after being praised by Gove as a school that would improve education in the North of England. Struggling free schools have been earmarked for special fast-track attention by the government because of the potential for serious political embarrassment for education secretary, Michael Gove, if they should fail, according to leaked documents seen by the Observer. 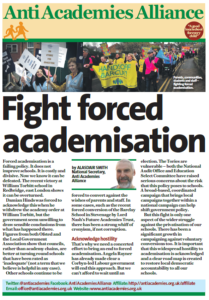 Marked “Official – Sensitive”, the confidential papers warn that the “political ramifications of any more free schools being judged inadequate are very high and speedy intervention is essential”. Explaining the decision when the closure was announced, schools minister Lord Nash said that “none of the school’s teachers were delivering good lessons and all were still consistently inadequate or required improvement”. The Department of Education (DfE) has given new free schools almost £60 million in extra funding to support them to the end of their first year, figures published over the weekend revealed. This money is in addition to both per pupil revenue funding, and to the capital used to acquire sites for new schools. 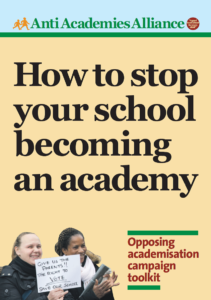 The figures, published following a ruling by the Information Commissioner, cover 77 open schools, as well as 10 which were withdrawn from the programme. They show that the government spent £20 million on schools before they opened. This includes £441,000 in funding given to schools that never opened at all. In addition, the government provided £40 million in “post-opening funding”. The DfE said the money was required to “cover essential initial costs, such as buying books and equipment; and to meet the costs arising as the school builds up its cohorts over time”. This entry was posted in Featured, News, Top story and tagged Free Schools. Bookmark the permalink.